Happy Way-back Wednesday! 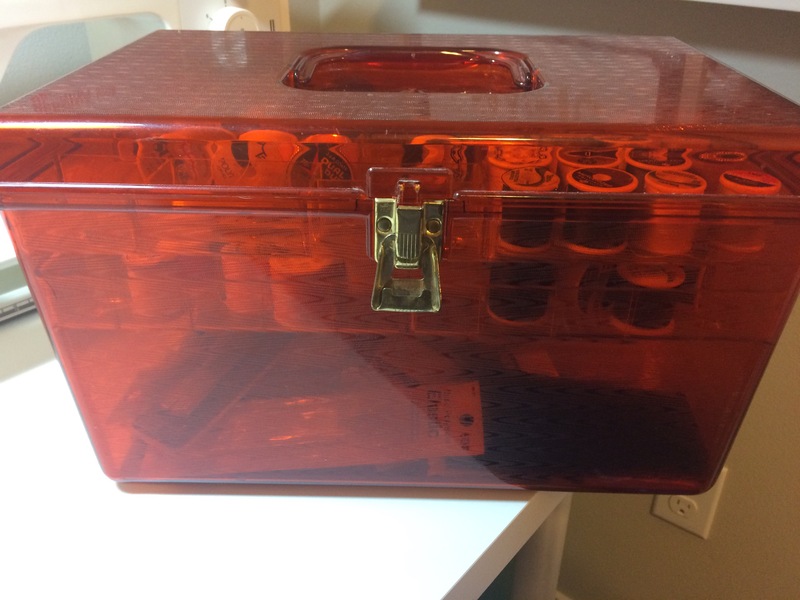 Last Christmas I was given a sewing box full of thread and sewing notions that had belonged to Greg’s grandmother. 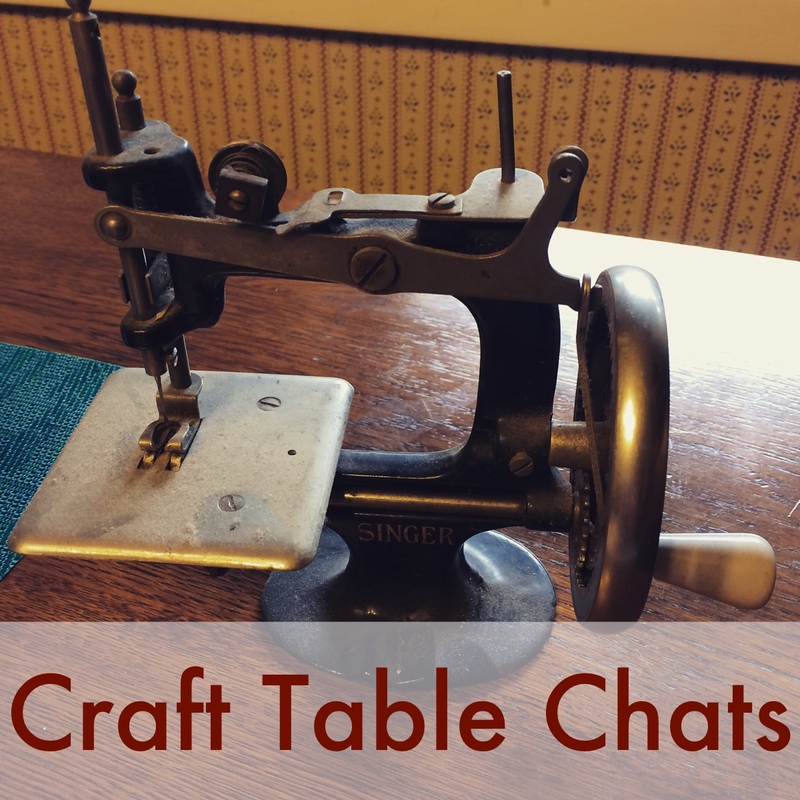 It was fun to pick through it and compare prices, see brands that have persisted and brands that I’ve never heard of, and learn about sewing “back in the day”. The elastic itself has degraded. Dritz we all probably recognize. Scovill was a new-to-me company. Note the packaging reads “Sewing Notions Division/Scovill Manufacturing Co.” They were founded just a few years after the American Revolution in 1802 and are still around, as Scovill Fasteners, and they do still make apparel fasteners (snaps, zippers, grommets, etc.) but it looks like they mainly supply larger apparel manufacturers, rather than sell retail items to individual consumers. Clark’s Thread Company, before it became Coats & Clarks as a consolidated brand name in 1952. This company’s history includes the claim that the Clark Brothers invented cotton tread in the very early 1800s, replacing linen and silk which were previously used. 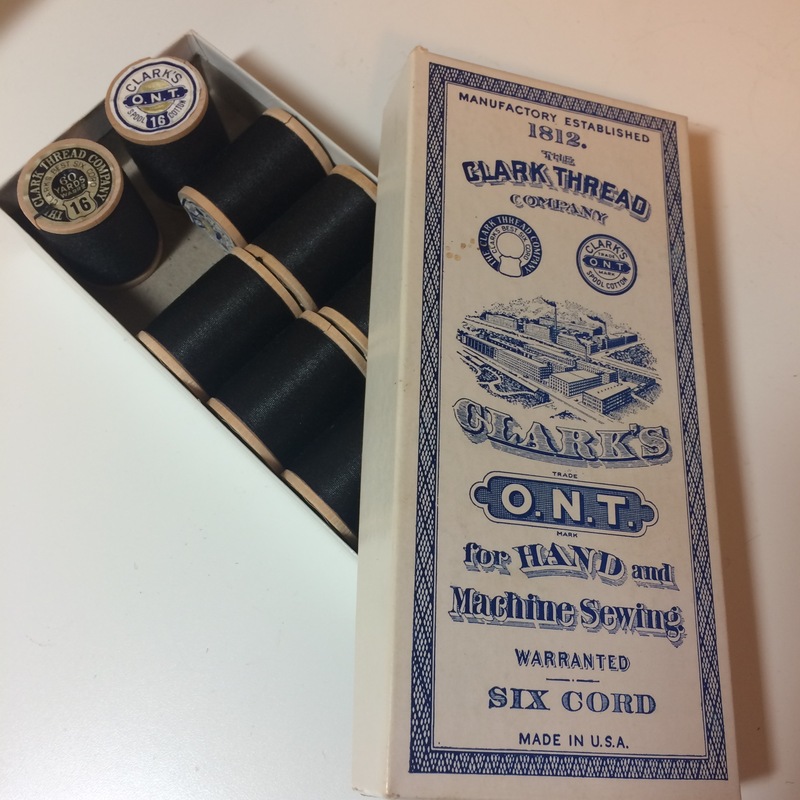 The Clark Thread Company, founded in 1812 in Scotland, eventually opened a manufacturing plant in the United States after the American Civil War. The Coats company also opened a manufacturing center in the United states and the two companies merged in 1896, but kept their separate brands. Coats was founded by another Paisley, Scotland weaver and both companies’s mills were players in the British Industrial Revolution. 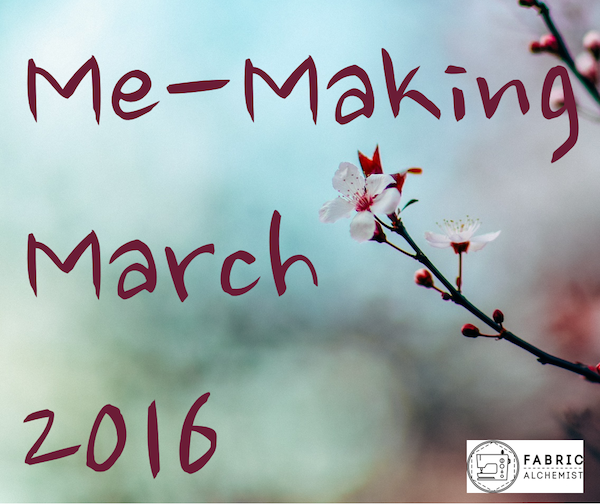 This story is such a great example of the economic pressures that influence innovation. The Clark brothers only played around with twisting cotton threads together because silk thread had become unbearably expensive due to Napoleon Bonaparte’s blockade around Britain. And the main reason both Clark’s and Coats opened factories in America was because the high tariffs caused by the Civil War made importing thread to America too costly. And here are some more examples of threads from the collection. I like that these snaps come in assorted sizes. The $0.10, $0.25, and $0.29 prices are so foreign to me. My keyboard doesn’t even have a “cents” symbol! I find myself giggling at the “It’s like pretty underwear” tagline on the flexi-lace seam binding. This must have been shortly after spandex entered our sewing world. 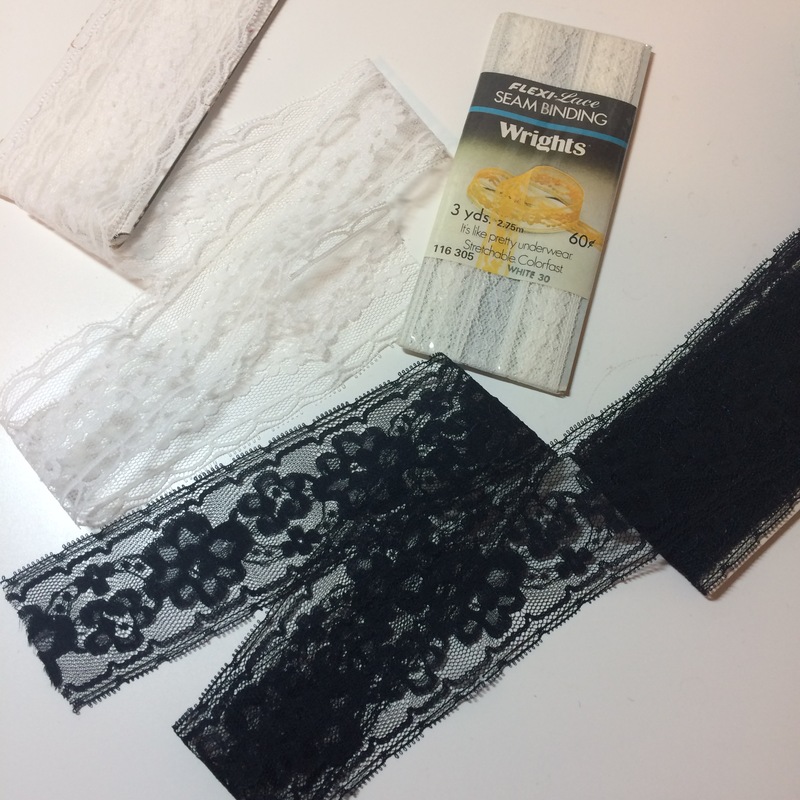 With lingerie sewing taking over the sewing community recently, it is worth remembering what I take for granted – stretch lace and mesh in every color imaginable. So cool. What do you plan to do with it? 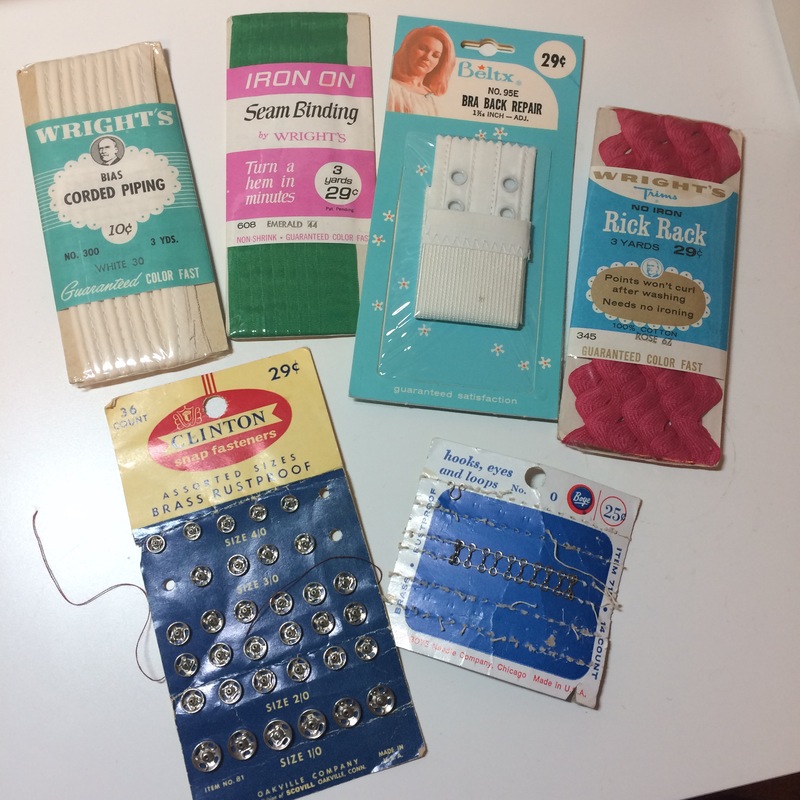 I’ve also received a lot of old sewing notions. While I apreciate the historic value of them, I cant keep a large crate of stuff I know I’ll never use. I can use the snaps. I’m not sure about the trims and seam binding. 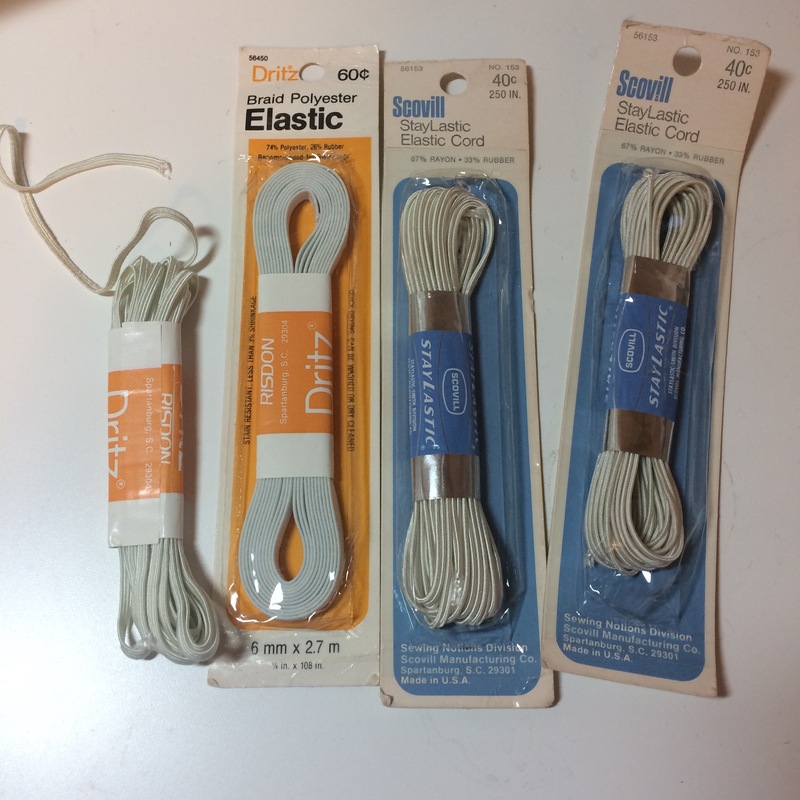 I do like to use old thread for making muslins or quick hand basting, then I don’t waste my new thread on something I am going to rip out and resew. I always buy the bags full of these things at Value Village, and my estate sales pals dump the ones that don’t sell on my door. I strength test any thread, and I strip it off the nicer spools if it breaks. I am on the hunt for old class 15 bobbins to work with my 1970s Kenmore. Looking for more rick rack and seam binding. Whatever I don’t need that is in decent shape goes to the sewing classes and the costume shop at the high school. Also any decent yardage goes there too. It doesn’t go bad there.